A new BlackBerry could be on the way. According to a post on CrackBerry, inside the BlackBerry DTEK security app some code was found related to a new BlackBerry device internally known as the "Adula." With several BlackBerry licensees producing new phones including TCL, Optiemus and BB Merah Putih, this new handset could be from any one of them. One hint might have be found in the codename itself. Adula is located in India, which is home to Optiemus. The latter manufacturers the BlackBerry Evolve and Evolve X all-touch models for the Indian market. The model number of this possible new BlackBerry appears in the DTEK app as BBI100. While there is nothing in the data found that gives us a hint whether the "Adula" will be equipped with a physical keyboard or released as an all-touch phone, thus far, among the licensees, only TCL has included this iconic BlackBerry feature on some of its new handsets. 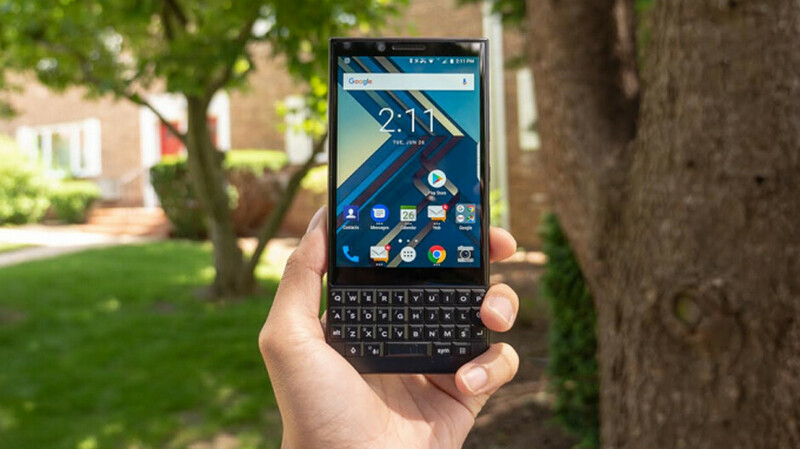 The manufacturer, based in China, released the BlackBerry KEYone in 2017, followed by the KEY2 (see image at the top of this article) and KEY2 LE last year. With the Mobile World Congress (MWC) 2019 trade show running from February 25th through the 28th, perhaps we will know by late next month what the BlackBerry "Adula" is all about. After all, the KEYone was originally unwrapped at MWC 2017. LANDSCAPE QWERTY. Like the original Samsung EPIC. That's the ONLY thing that would sell a blackberry. Why can't these morons figure this out? How about Key3 mini? Can't stand this giant phablets everywhere, no choice for smaller phone. BlackBerry is no longer an interesting brand, just like the current mobile industry. They haven't really done much to differentiate themselves from before plus they have overpriced their KeyONE devices. The physical keyboards on their smartphones is what differentiates BlackBerry Mobile from every other smartphone maker. Other OEM's aren't differentiating from the same old slabs. And Apple, Samsung, Huawei, Google, and LG all produce smartphones that are more "overpriced" than what BlackBerry Mobile puts out. That MG champions? I remember when you used to wet yourself for having a Nexus 6P...or was that a lie too. The only thing I've ever said about the 6P is that it was the last Huawei phone worth owning but even then it was subject to the battery going out. Nowhere did I infer or imply anything else about the 6P. The tides aren't as predictable as you.